Creamy Celeriac Soup | Cook. Vegan. Lover. Heat oil in a large pot over medium-high heat, add the onions and saute 3-5 minutes until lightly browned and softened. Add the vegetable stock and celeriac. Bring to a boil and cover, lower heat to medium low and allow to simmer for 30 minutes. With an immersion blender or in batches to your regular blender (remember if you use a regular blender not to fill it too high with the hot liquid) and blend until smooth and creamy. You should stop over to Love Veggies and Yoga to enter in Averie’s Chia Seeds giveaway! Click Here to View. This entry was posted in recipe and tagged celeriac, recipe. Bookmark the permalink. Yum…..celery root is going on the shopping list for next week!!! I made this in the morning for dinner and it was even better at dinner after sitting all day – but isn’t soup usually better on the 2nd day (or if it just sits for awhile?) Basically what I am saying is that I recommend making this ahead of time because it’s even more delicious. 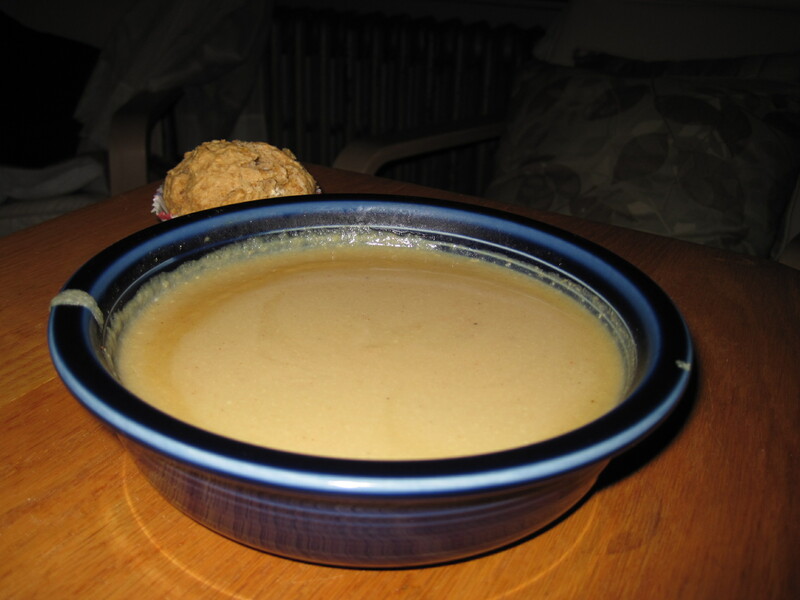 thanks for the chia contest entries and your soup looks great! I’ve never tried celeraic, but I love celery so I bet I’d like it. BTW, the acai powder came in! Woo! I’ve been enjoying it in my raw blended “oats” every morning.